I have recently heard about commercials that suggest eating Nutella on toast with a glass of milk for breakfast. Really? At 21 grams of sugar (in just 2 tablespoons), that seems a bit odd to me. Now I’ll be the first to admit that Nutella has a particularly yummy, and quite possibly, addicting flavor. I actually toted 2 bottles of it around Europe after having a chocolate crepe while I was there, and thinking I might never see it again. Of course, I noticed it on the grocery store shelves when I got back — grrrrr! (In my defense, that was more than 13 years ago and I didn’t spend much time grocery shopping back then). 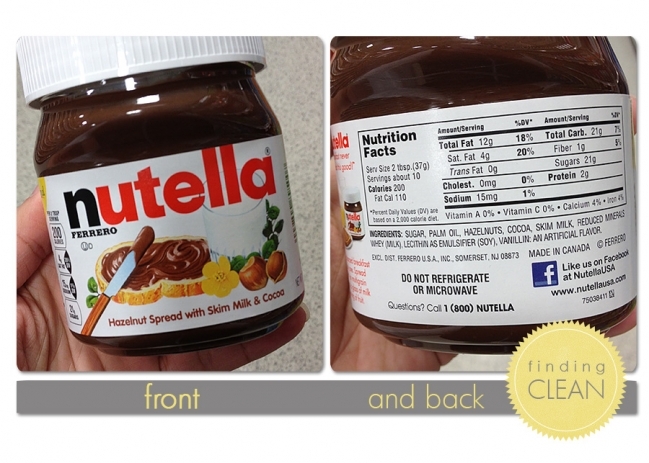 If you are a huge Nutella fan, you might want to just close your eyes and plug your ears for this one. OR, you could try something that I think actually tastes BETTER! Different, yes. But it tastes more like, well, HAZELNUTS! 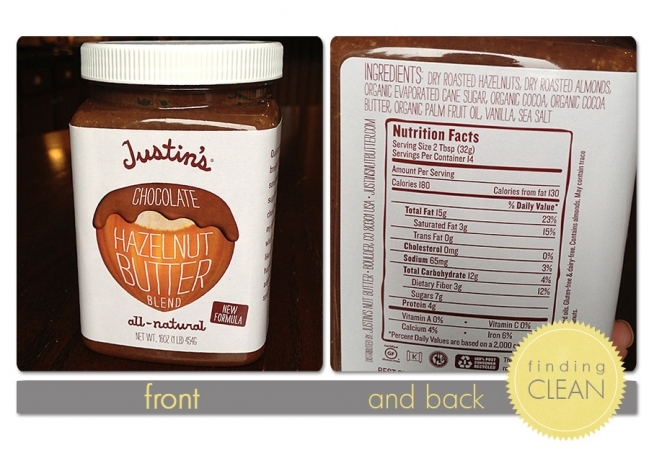 Justin’s Chocolate Hazelnut Butter, Mmmmmmmm. I’m not saying this stuff is GOOD for you, or that you should eat it for breakfast (but nobody has to know, right?) 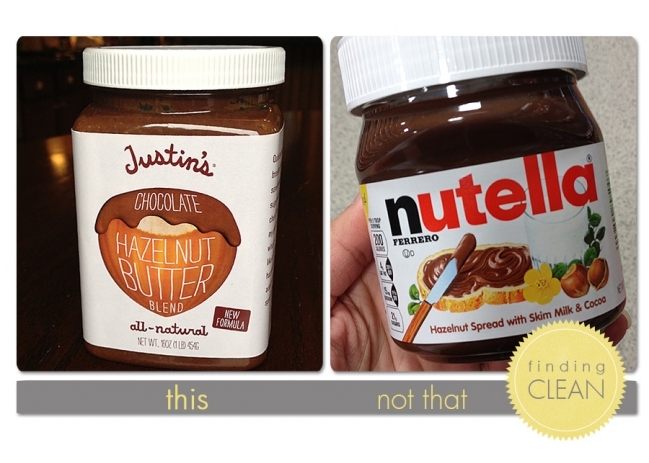 But Justin’s product has twice the protein of Nutella and 1/3 the total sugar. Plus, the sugar is organic (non-GMO), and the cocoa is organic (limiting pesticide exposure), so it’s a better choice in my book. I think I’ll stick with Justin’s for now. By the way, it’s great with pretzel sticks. Not that I’ve ever stood in the pantry dipping pretzels into my jar of chocolate hazelnut butter……. Crystal - LOL Liz! Trust me, the Justin’s brand with some pretzel sticks……YUMMY!! Liz - I am cracking up, because I was headed to the pantry to eat a little Nutella with some of those Trader Joe’s pita crackers you’ve gotten me hooked on (love the salty with the sweet) – and in hiding, while everyone was at school or napping. I didn’t, and plan to look for Justin’s. I’ll be interested to look at the label on TJ’s version, too.